We arrived about midday to meet the Tippings (friends of mum and dad). They have four children – all of them loved the boat. We went to a nice taverna to have lunch before getting a taxi over to the Tsilivi water park. 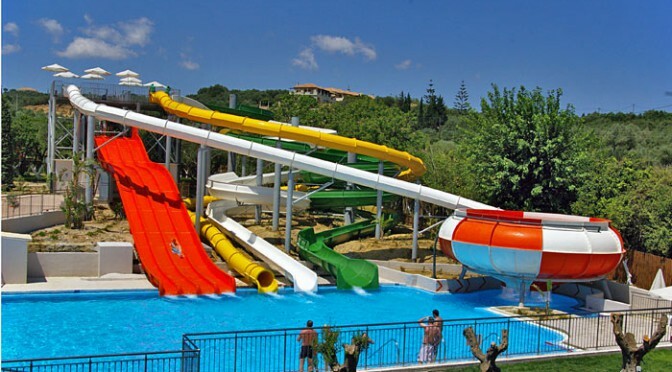 We hung out there for a few hours – riding slides, swimming and relaxing on the sun beds. Afterwards we walked back to their villa where we played in the pool for even longer and had a delicious BBQ. We also watched some Kung Fu Panda! In the evening we went out for a walk and had ice cream – the perfect food to end the perfect day.